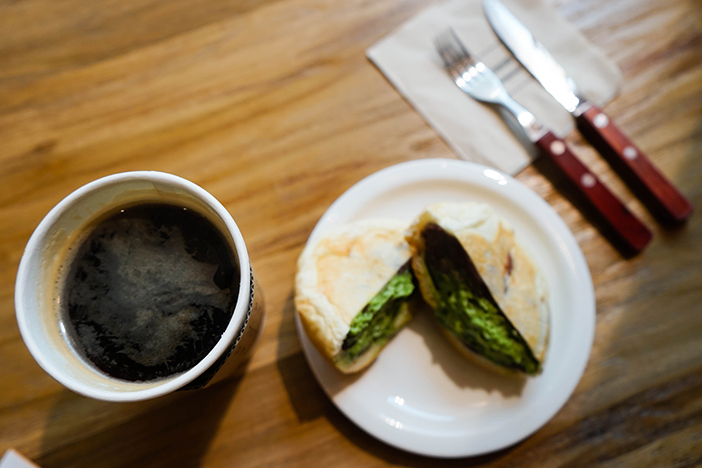 With a size of 70 soccer fields, Starfield Hanam was the talk of the town since its opening. 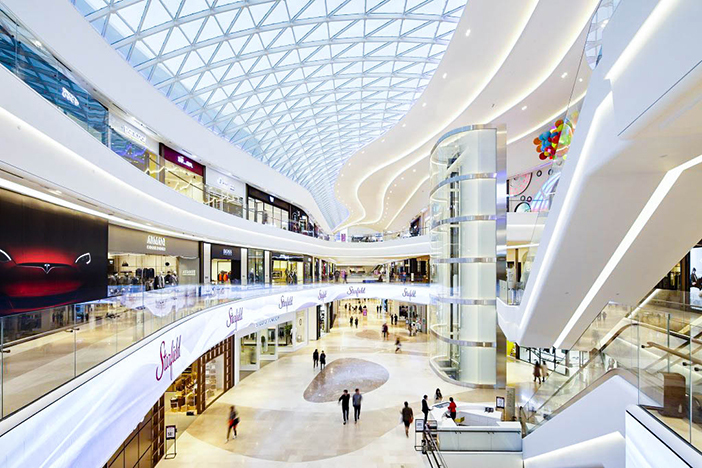 The multi-complex mall continues to attract numbers of visitors even today. A multitude of shops are gathered in one building, making it easy to think of Starfield Hanam as just another shopping complex or mega-mall, but it is better called a “Shopping Theme Park.” Much like an amusement park that offers many fun rides for visitors to chose among, Starfield Hanam provides a shopping experience to match the unique tastes of all visitors. Inside the mall, visitors will find not only shopping spaces, but also fun and unique areas. With all the options, you are sure to find something that pleases you. TIP) Check the Floor Guide when exploring! Because of its large size, Starfield Hanam has information desks and floor guides available in Korean and English throughout the complex. The guides list the names and locations of shops from the basement level 1 through the fourth floor. With this map in hand, it’s easy to find what you’re looking for. Electro Mart exudes a male aura, from the entrance to the items on sale. Like a playground for electronic enthusiasts, the mart even has a super-hero mascot. A lightning bolt emblazoned on his chest, Electro Man is the ‘god of electricity’ and embodies all the electronic goods in the store. Electro Mart sells everything from smart phones to speakers to the newest digital devices. 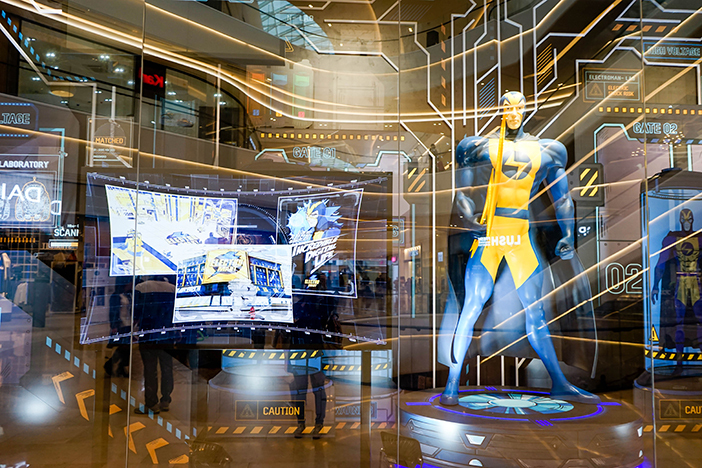 Be sure to keep an eye out for Electro Man throughout the store while experiencing all the gadgets first-hand. 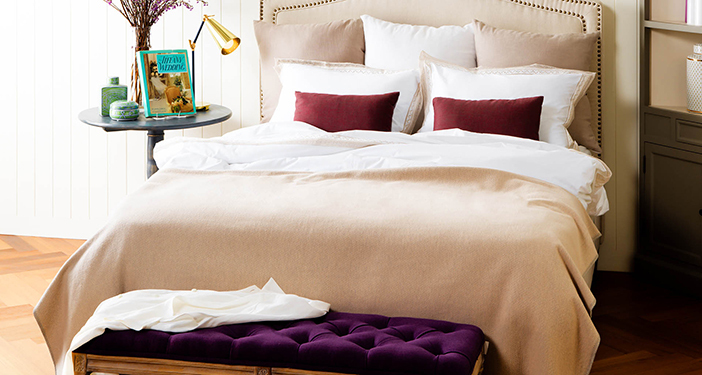 Maison Ticia is a lifestyle and home shop for those who seek to decorate their home. The shop name comes from a combination of the French word “maison” meaning home, and “leticia,” Latin for pleasure. The shop is full of cute and adorable items that are sure to catch the eye of visitors even from just a single glance. Maison Ticia mostly sells household items, such as kitchenware, lifestyle goods, and interior decorating items. The shop is unique for having a space available for shoppers to personally try out the items. 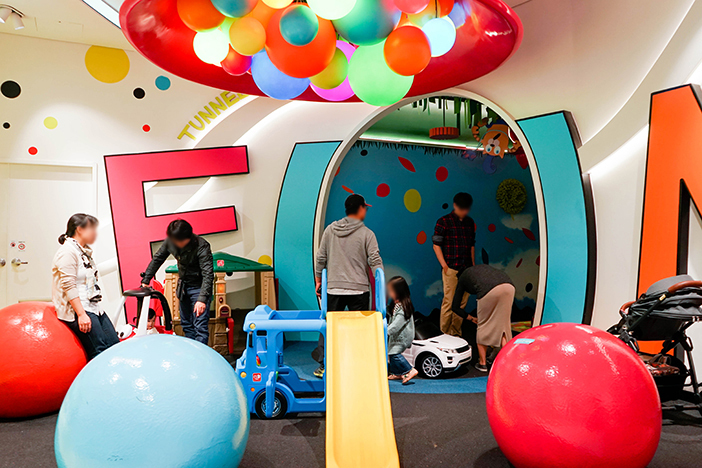 Families with young children will love visiting Toy Kingdom. Bright, colorful balloons decorate the entryway, ushering visitors into a new, fantastic world. This place is filled with grand characters and statues from 1.5meter-tall pinwheels to lego men to Pororo! Toy Kingdom is great for taking souvenir photos with the characters, and children will love to play with the many toys in this special place just for them. The high-end interior of Aquafield is sure to catch one’s attention. 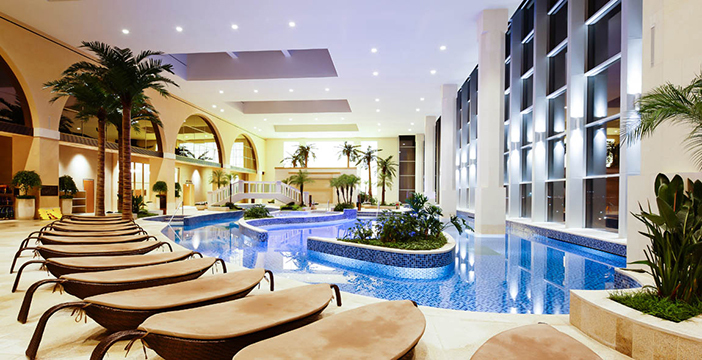 A healing space to recharge your body and soul, the facility is divided into a large water park and a hot spa. The water park features a variety of pools to entertain family members of all ages. The spa is decorated in eight themed areas, each area pleasing to the eye and ideal for spending time in idle comfort. In particular, popular areas include the Media Art Room, featuring constellations and the aurora borealis dancing to the sounds of music, and the Cloud Room, designed to feel as if you are floating in the clouds. ※ Base admission limited to six hours, with an additional 5,000 won charged for each additional hour. ※ Pay for additional facilities (F&B, massage chair, etc.) after use at the payment counter on 4F. In simple terms, Hyundai Motorstudio is not a space to sell cars, but rather to allow visitors to experience Hyundai cars first-hand. 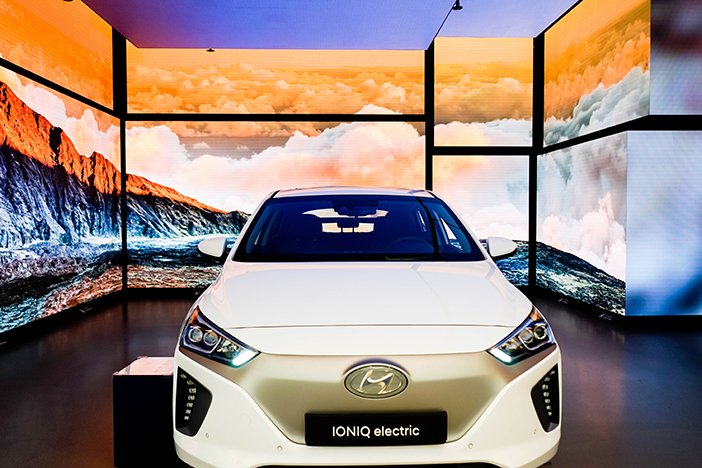 The entire exhibition space is decorated with images and information about Hyundai’s future car IONIQ, the company’s first hybrid vehicle. The walls display a video with IONIQ’s vision, “The Freedom of Movement,” and visitors can also view the interior of the car. Sports Monster is a unique space blending sports and play, with a personal “monster band” to record your movements while playing. 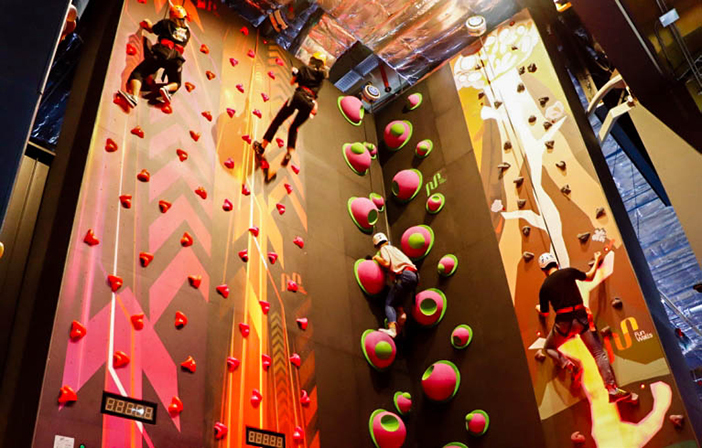 There are over 30 differing activities to enjoy here, with the sports being divided into four categories of Basic Zone, Exciting Zone, Adventure Zone, and Digital Zone. The most popular area is the Adventure Zone’s free-fall experience! Take on the excitement of a leap from the top of the 8.5m platform for a wild thrill ride through the open air. ※ Base fare limited to two hours, with an additional 1,000 won charged for each additional 10 minutes. Gourmet Street is true to its name, featuring a large gathering of famous Korean restaurants along its full length of 200 meters. The prices here are a bit higher than those of the general food court on the third floor, but it is worth it for the fancy ambience and delicious food. The cafés here are also artfully decorated and great for relaxing over a cup of hot coffee or tea. The general foot court of Starfield Hanam is EATOPIA, located on the third floor. 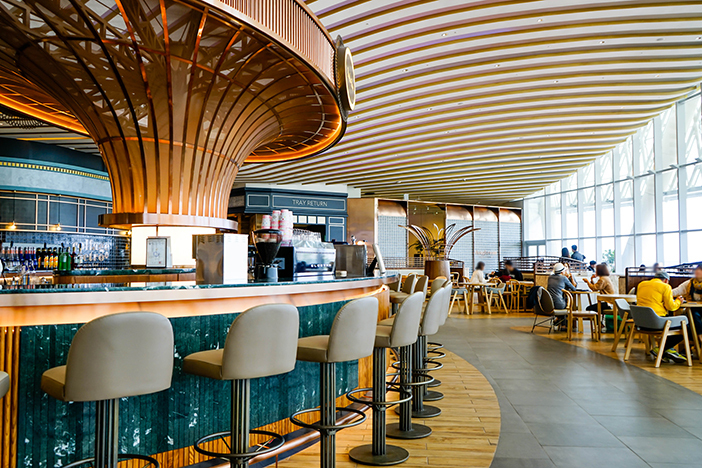 Visitors can purchase food a la carte from traditional restaurants and new-style restaurants to create their perfect meal. While eating, diners will be treated to views of the Hangang River flowing by outside the floor-to-ceiling glass windows lining the walls like an observatory. • Walk approx. 1 min. from Exit 7 to Jamsil Station Bus Stop → Take Bus No. 9302 to Starfield Hanam Bus Stop → Walk approx. 1 min. to Starfield Hanam. • Take a taxi for approx. 23 min. • Walk approx. 1 min. from Exit 1 to Paldang Station Bus Stop → Take Maeul Bus No. 50 to Starfield Hanam Bus Stop → Walk approx. 2 min. to Starfield Hanam. • From Paldang Station (Gyeongui-Jungang Line), take a taxi for approx. 11 min. * This column was last updated in March 2018, and therefore information may differ from what is presented here. We advise you to check details before visiting.